Perched on a high summit of Banasdara mountain of Aravalli hill range, just like a bejeweled tiara stands the glorious Sajjangarh fort. It is a white marble palace. 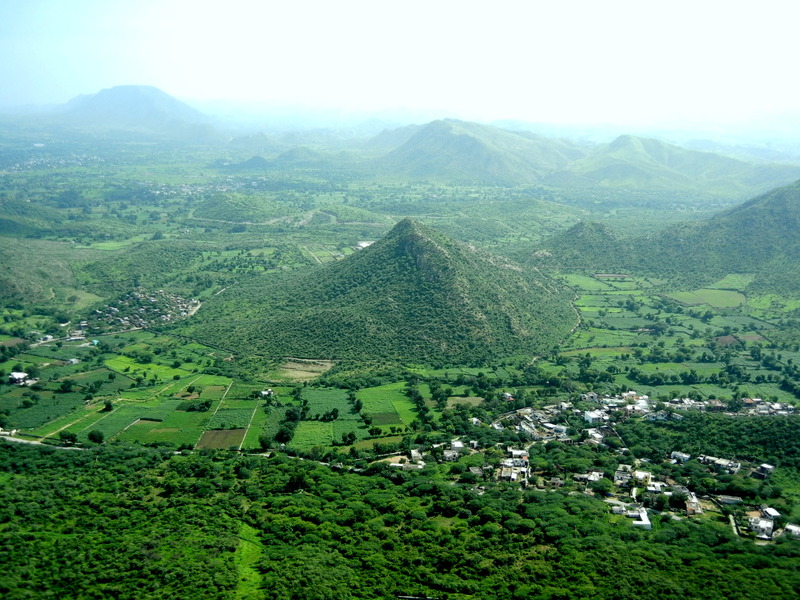 The fort is situated 5km (2 miles) to the west of Udaipur city at an altitude of 944m (3100 ft) above sea level. The latitudinal and longitudinal of fort are 23.260 and 74.289 respectively. It was built in 1884, by seventy-second ruler of Mewar dynasty, Maharana Sajjan Singh. He was considered as a renowned ruler and a “Man of Vision” and was also honourerd with the title of “Grand Commander of the Star of India” in 1881.Having deep passion for astronomy, Maharan Sajjan Singh intended to construct a nine- storey astronomical centre that could facilitate the tracking of monsoon clouds and diagnose the weather conditions. 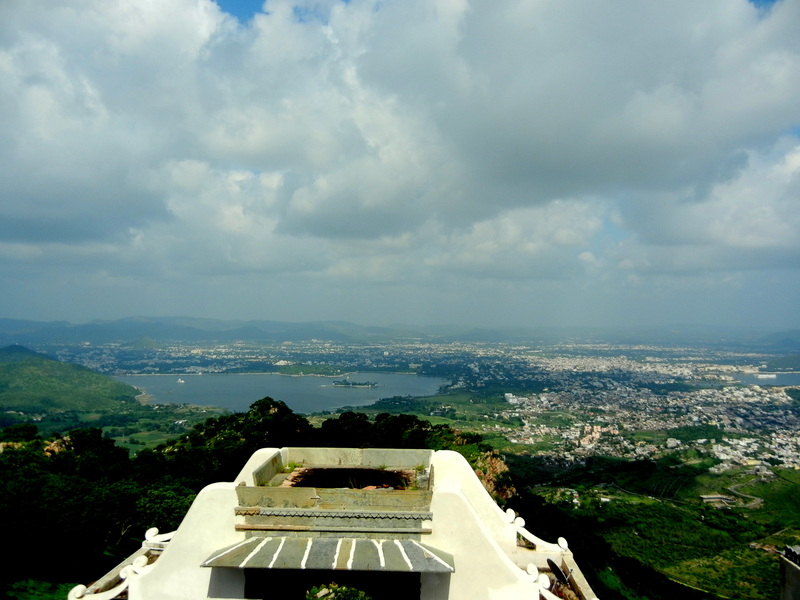 Hence popularly known as monsoon palace. The other reason that added to building up of the fort was to serve a holiday home and hunting lodge to royal family and also to give Maharana a view of his ancestral home in Chittaurgarh.Due to untimely demise at the age of 26 , his dream remained unfulfilled with shelving of his plans by construction of partial three-storey building. 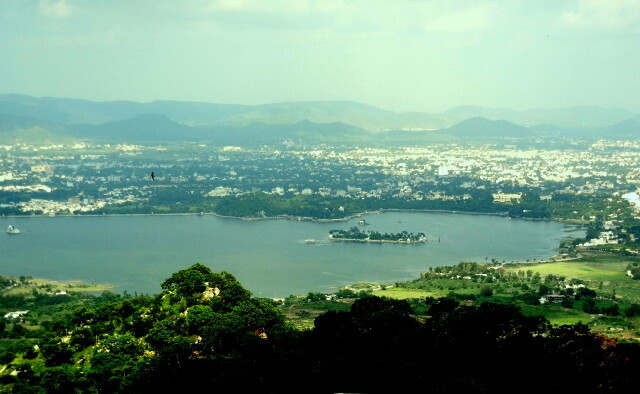 But during his reign (1874-1884) Udaipur was recognized as the second Municipality in India after Bombay. The construction of Sajjangarh is considered as the most ambitious project which Maharana undertook during the span of his rule. Looming at a great height, the fort offers an exhilarating bird eye view of Udaipur city overlooking the two lakes – The Pichola & Fatehsagar. Previously the palace was owned by the royal family of Mewar but now it is controlled by the Forest department of Rajasthan Government. The importance of the fort lies in it’s unique location to give it’s visitors an astounding and charismatic view of the city. The road leading to the fort is hilly, steep, twisting with several blind turns. The best time to visit the place is at the time of rainy season because the picturesque and the scenic view of the scenery around is seen like heaven with the palace seeming as cocooned within the clouds. Rather than monsoons, from way down the city , the White Palace renders a visual treat with a constraining attraction of pulling a visitor up to see the breathtaking spectacle of the setting sun with a colourful sky. The palace consist of a grand central court with a staircase, rooms, a huge bronze statue of Maharana Pratap, Fountains, Domes jharokhas, Marble pillars with floral carvings reflecting the vibrant art and architecture of culture of Rajasthan and royal quarters which are subdivided into Mardana Mahal(quarter for men), Zanana Mahal (quarter for females), the Diwan-e-Aam(hall for public audience) and the Diwan-e-Khaas(hall for private audience). The walls of the fort are plastered by lime mortar. The tall turrets with guards regulating each tower can be viewed from a distance. At night the illuminated palace seems like a fairytale castle floating free in the sky. The ground floor of palace is a museum with a collection of pictures, paintings and maps of the entire palace and the design of the palace that Maharana Sajjan Singh intended to construct. There is also an ingenious rainwater collection system in which 195,500 litres of water can be stored and it seems to be an innovative way of collecting rain water where dry desert conditions exists. Some cannons too still remain there, since the time Udaipur was attacked by Schindias in 1764, when the hill was used as ordnance dump. A boat ride across the lake Pichola provides a mesmerizing view of the palace. The palace is enveloped by Sajjangarh Wildlife Sanctuary established in 1987 which covers an area of 5.17 sq km. 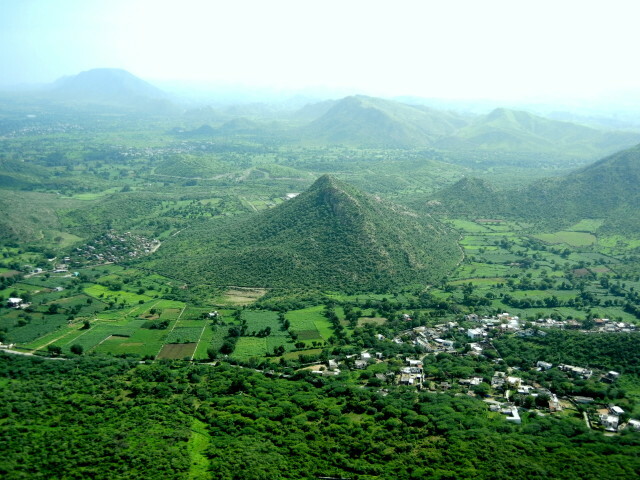 It is regarded as a reserve for reptiles, wild boars, blue bulls, hyenas, panthers, sambhars, jackals, spotted deers, peacocks, wild rabbits and many migratory birds. The entire hillock has been well protected with concrete wall and fences to improve the flora and fauna of the sanctuary area. To the left of the fort lies Shikarbadi or the Khas-Odi and at the northwest lies an artificial lake known as “Badi Lake”or“Tiger Lake. The adventure freak people can also make their way to the fort by trekking from the lake. On the western side of the hill lies the “ Jhar Water Hole”, a small perennial source of water encircled by numerous Mahua trees adding tranquility to the place along with a small temple of lord Shiva. The backside of the palace gives the spectacular view of valley covered with dense, thick forest and lush greenery all around it. The place is not commercialized so no shops, no vendors etc lending a peaceful, quite and calm atmosphere. At the palace, a restaurant is operated by The Lalit Groups providing lunch, breakfast, tea, coffee etc. The fort is regarded as best sightseeing point of Udaipur and remains a popular tourist destination with an entry fee of just INR 10 for Indian, INR 80 for foreigner and INR2 for students. Despite of being a tourist point the fort is not serving as a well maintained heritage. The interiors are ruined and the walls too are covered in graffiti by the young lads proclaiming their fascinations of their girl or vice-versa. It’s a high time for the authorized people to wake up and take effective measures to improve the conditions of the Palace. Mai 2 mnth pehle ghumney gya tha ESA fort Kahi nahi h all India me , iska design location sab perfect but tourist yahaan Kam jaate h Shyd door h thoda Udaipur se islie..